constantly try new things and showcase it to the world, little-known location. The TukTuk Tournament is one such creative way to explore the nooks and crannies of this beautiful paradise island. 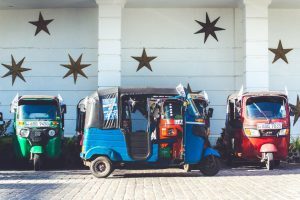 If you’ve been daring enough to ever ride a tuktuk, in Sri Lanka especially, then perhaps you remember the way these three-wheeled gadgets weave across traffic. Imagine the places these tuktuks could reach. Blend in with the locals and become part of the island’s people. On the 20th of October 2018, the culmination of all the forces of the tuktuks will gather for this incredible, unforgettable event. 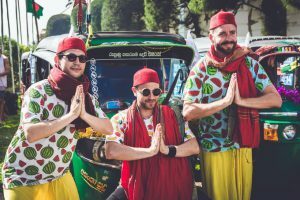 The TukTuk Rental team, with the guidance of local experts and the community, has created an extensive map of over 1500 challenges, quests, and locations in which more than 50 teams of challengers will compete for the prestigious “Tri-Wheel Trophy”. The adventure is yours to create. Your choices will determine the people you meet, the places you see and the experience you have. There’s no special route, no guidance, no tour guide. With a handy quest book as your compass, the options are truly endless. The TukTuk Tournament could take you anywhere from Point Pedro to Dondra Head, collecting “gemstones” for every challenge or quest completed across the 15-day event. The winner will be crowned the “Ultimate TukTuk Champion of the Universe!”. The tournament isn’t just time on the road, but the 2 weeks will also be peppered with gatherings, banquets and new friendships. The TukTuk Rental team will have your back throughout your tuktuk travels, providing insurance, comprehensive driving lessons and licenses, and anything else to make the journey as smooth and safe. 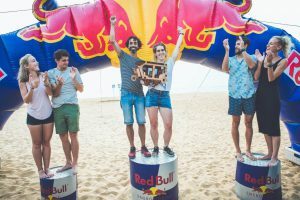 While the first TukTuk Tournament was held in 2017, the organizers are setting even higher standards this year, to give the participants the best of unexplored Sri Lanka. You can find out more about this event here www.tuktuktournament.com, and if you have any questions, get in touch with the tournament coordinators at hello@tuktuktournament.com.